Multichannel management solution ChannelAdvisor Marketplaces has added the ability for sellers to drop ship orders from Amazon first-party sales. ChannelAdvisor also now supports drop shipping for orders from Jet.com and Overstock. ChannelAdvisor announced support for Amazon Vendor Central purchase orders, and drop ship orders, at the Catalyst Americas conference in March this year. The new support for Amazon Vendor Central orders is currently in limited availability. Multichannel management solution ChannelAdvisor Marketplaces now supports international marketplace Fruugo. When a retailer lists on Fruugo, their products can go live on up to 32 different country-specific versions of the Fruugo site, using 17 different languages and 21 different currencies. Each country site is fully localized to the customer in terms of language, currency, payment method, product availability, shipping and pricing. Shoppers have the ability to add multiple products into their Fruugo shopping cart from multiple retailers, even if the retailers are based in different countries. "We're always looking for new ways to help retailers and branded manufacturers scale to new audiences and regions, so we're excited by the unique opportunity that Fruugo offers our customers," said Mike Shapaker, vice president and managing director, EMEA at ChannelAdvisor. "Fruugo's platform empowers customers to have a truly global shopping experience by giving them access to products from a wide range of categories from retailers around the world. It's an interesting marketplace model and one we think ChannelAdvisor customers will be able to leverage to expand to new regions." The latest update for multi-channel management solution ChannelAdvisor Marketplaces includes algorithmic eBay repricing, new competition monitoring reports for Amazon, and the inclusion of Walmart and Jet.com sales data in benchmarking reports. eBay algorithmic repricing is currently in limited release for selected sellers. It follows the release of algorithmic repricing for Walmart in January and for Amazon in September 2016. The new "Competitive Environment Dashboard" shows Amazon sellers who their competitors and where they could be losing market share, to help them make informed decisions about their Amazon business. The new dashboard is available for all Amazon marketplaces except China. Walmart and Jet.com data has been added to ChannelAdvisor's Benchmarking Platform. ChannelAdvisor Benchmarking is an industry-first suite of customizable dashboards that provide insight into how a seller's performance compares to other retailers and brands, using data from transactions processed through ChannelAdvisor's platform. Multichannel management solution ChannelAdvisor Marketplaces has a new mode for configuring bundled products. Bundled products can now be configured in either Standard Mode or Assembly Mode. In Assembly Mode, all components of a bundle are fulfilled from the same distribution center. The available quantity is calculated based on the number of bundles that can be assembled using the components available at each distribution center selected. The release also includes an update to Walmart Promotional Pricing, to support promotions where the price is not shown to the buyer until they either add the item to their cart or they go through the checkout process. The latest release for multichannel management solution ChannelAdvisor Marketplaces includes support for three German marketplaces within the Otto Group of companies. The three new marketplaces are Otto, Schwab and Baur, spanning fashion, household, toys, sports and multimedia. Otto Group is the largest German online retailer in the fashion and lifestyle sector, with 2.2 million SKUs and 6,000 different brands available. "We proactively seek ways to help connect our customers to more sources of demand. By adding support for three widely recognised German marketplaces, we're providing our customers product exposure among a new set of shoppers," said Felix Kuehl, head of sales, DACH for ChannelAdvisor. "German online sales are currently estimated to be £49.09 billion and predicted to rise by a further £17 billion by 2020. This means there is a great opportunity for retailers in Germany and retailers should consider scaling now." "The Otto Group focuses on offering great product selection and we aim to help deliver a great customer experience," said Robert Schlichter, Divisional Manager Marketplace otto.de. "We are excited to offer ChannelAdvisor merchants the opportunity to sell across Otto, Baur and Schwab. Through a single inventory feed to ChannelAdvisor, retailers can list their products across Otto.de, Schwab.de and Baur.de." Multichannel management solution ChannelAdvisor Marketplaces now offers automatic algorithmic repricing for the Walmart marketplace. The new repricer joins ChannelAdvisor's algorithmic repricing tools for Amazon and Jet.com. Sellers who are currently using ChannelAdvisor to sell on Walmart will now see fields to map on the Walmart Marketplace template to enable repricing. The latest release for multichannel management solution ChannelAdvisor Marketplaces includes automated sales data exports, and product repricing for the Jet.com marketplace. The new "customized sales exports" features allows users to customize and schedule exports of order data. The feature can be used for transmission of orders to drop ship partners, monitoring return requests, back office integration and more. Orders, shipments, and refunds can be exported via email or FTP as a customized CSV, TXT, XML or JSON file at a predefined interval from every 15 minutes up to every 24 hours. ChannelAdvisor is now offering repricing capabilities with the Jet marketplace. Sellers who are currently using ChannelAdvisor to sell on Jet will see new fields to map on the Jet template to enable automatic repricing. Finally, the latest ChannelAdvisor release includes support for eBay Promotions Manager in the US, UK, Germany and Australia. ChannelAdvisor can now create eBay Promotions Manager campaigns to increase order sizes, attract more shoppers and cross-sell related items. ChannelAdvisor's annual Catalyst America event will take place March 6-8, 2017 at the Music City Center in Nashville, Tennessee. The event will offer networking opportunities with industry peers, as well as presentations from industry experts and visionaries to inform retailers and branded manufacturers about the future of e-commerce and how they can improve their online businesses. "Faced with a challenging and constantly changing e-commerce landscape, retailers and brands are expected to stay ahead of emerging trends," said David Spitz, ChannelAdvisor CEO. "Catalyst Americas 2017 offers industry-leading presentations, educational breakout sessions and valuable networking opportunities that will prepare sellers with the innovative strategies they need to compete and win." Early-bird registration is $975 until January 16, 2017, and registrations prior to November 15, 2016 are eligible for additional savings of $99 using the promo code VIP2017. More information. Marketplace management solution ChannelAdvisor Marketplaces has released a new algorithmic Amazon repricing option. ChannelAdvisor's algorithmic repricing model is designed to win the Buy Box at the highest possible price, by monitoring the Buy Box status and evaluating the competition to arrive at an optimal price. As the competitive landscape changes, your price will be raised and lowered to maximize revenue and profitability. Multi-ASIN Repricing so a product can be repriced against multiple ASINs beyond its own. Sponsored Products Automation for Amazon US and EU marketplaces, allowing ChannelAdvisor to automatically pause poor performing keywords in Sponsored Products Campaigns or Ad Groups. Support for listing on Amazon India. Marketplace management solution ChannelAdvisor Marketplaces has added support for eBay's new "Promoted Listings" advertising program. eBay Promoted Listings is an advertising program that puts seller listings in highly visible placements on a unique cost-per-sale model. Sellers bid for placement and only pay when there is a sale. Using ChannelAdvisor, retailers and brands can efficiently create and manage Promoted Listing campaigns to deliver ads for products that are tailored to consumer searches. Consumers who click on the ad are taken directly to the eBay product detail page where they can purchase the product. "Promoted Listings are a great way for retailers and brands to gain maximum exposure for their products on eBay," said ChannelAdvisor CEO David Spitz. "Building campaigns that advertise hot items is a great way for retailers to help boost their online sales this holiday season. We're excited to work with our customers to ensure they're making a concerted effort to get their products front and center on the popular website." "eBay's Promoted Listings offering allows merchants to put their best-selling merchandise and seasonal must-haves in front of the right buyers, while taking advantage of a transparent and innovative cost-per-sale model," said Hal Lawton, SVP of eBay North America. "We're excited to partner with ChannelAdvisor to enable a simple process for sellers to implement this service and take their eBay business to the next level." ChannelAdvisor says it is the first ecommerce solution provider to support eBay Promoted Listings. Marketplace management solution ChannelAdvisor Marketplaces has new integrations with three marketplaces from around the world. Flubit, a UK marketplace profiled on the Web Retailer blog in 2014. Flubit provides a private marketplace driven by buyer requests, and aims to provide a better price on almost any product. ManoMano, a European marketplace offering DIY and Home & Garden products. ManoMano operates in the UK, France, Italy and Spain, with Germany coming soon. Tanga, a US marketplace focused on daily deals. Tanga uses targeted email campaigns and promotional events to give products maximum exposure. The new marketplaces are available now to all ChannelAdvisor customers. Marketplace management solution ChannelAdvisor Marketplaces has partnered with UK-based mail consolidator GFS. The new partnership provides ChannelAdvisor customers with the ability to print labels straight from ChannelAdvisor using GFS' multi-carrier despatch platform. Sellers can save time and money and reduce manual processing, as parcel tracking numbers are automatically provided back to sales channels and consumers. Sham Singh, Head of Channel Development for GFS, says: "Its win-win for both of our growing customer bases; customers can access the amazing control and visibility ChannelAdvisor provides with their sales and inventory tools, fully supported by our swift despatch solutions and our shipping expertise. I am delighted ChannelAdvisor have collaborated on this integration with GFS, I feel we both share the same passion for providing sellers with the tools to excel in the aggressive online arena." Håkan Thyr, Director of Partnerships, EMEA for ChannelAdvisor, says: "We're excited to announce this strategic alliance with GFS. Our aim is always to help retailers optimise their e-commerce operations, and by working with GFS, our customers have an even more seamless and effective way of managing orders, from listing to despatch. GFS is a great parcel and carrier platform and we're thrilled to be able to add them to our partner ecosystem." ChannelAdvisor customers will be able to access GFS' competitive carrier rates and expertise in shipping. The latest release of multichannel management software ChannelAdvisor Marketplaces includes suggested inventory quantities for shipments into Amazon's warehouses. The new Suggested FBA Inbound Quantity feature is based on demand for FBA items, taking into account historic sales, year over year growth, and recent performance trends, to project the quantity that should be sent to FBA facilities. The default weeks of cover used in the calculation is set to 8 weeks, but it can be adjusted. ChannelAdvisor also has a new "read only" permission setting for business rules, allowing specified users to view business rules but not create or edit them. Finally, enhancements have been made to the eBay Deal Planner feature, which allows adjustments to eBay listing price, quantity, and subtitle for a selected amount of time. Now users can select multiple brands or categories, filter based on labels, and apply free shipping as well. Marketplace management solution ChannelAdvisor Marketplaces has added support for the new mobile description field on eBay. eBay now allows users to specify a short summary description that should be displayed to buyers on mobile devices. The short description should summarize the product information and cannot include HTML. ChannelAdvisor has also added a new "eBay Revise Performance" report which provides details about the revision performance of open listings and recommendations based on the types of changes and processing results. An update to the Device Preview for description templates includes the most current set of mobile devices on the market today. The Device Preview can be used to get a feel for how a template will display on different devices. ChannelAdvisor can now automatically withdraw eBay listings with no sales after a certain period of time. Once withdrawn from eBay, the schedule will determine if a new listing should be created allowing users to automatically create a fresh listing which may be more appealing to buyers. Finally, ChannelAdvisor has a new returns management flow for Jet.com, and a new marketplace integration with Zalando Belgium. The 2016 Spring Release of marketplace management solution ChannelAdvisor Marketplaces includes Amazon feature enhancements and support for the Walmart marketplace. ChannelAdvisor CEO David Spitz said, "We're excited to help branded manufacturers build stronger strategic connections to retailers and equip our customers with the data, analytics and dashboards needed to make smarter decisions when managing their digital marketing campaigns." The Amazon Insights feature gives brands and retailers key product information, including stock availability and fulfillment advantages to help accelerate their Amazon sales. The Amazon FBA Dashboard shows brands and retailers where their SKUs are within Amazon's fulfillment process, the quantity and sales value of their FBA products, where they have excess FBA inventory and a side-by-side comparison of merchant-fulfilled and FBA sales. ChannelAdvisor's integration with Walmart was announced at ChannelAdvisor's Catalyst conference earlier this month, and is also included in the release. "Our integration with Walmart's global marketplace provides retailers and brands with a great opportunity to get in front of Walmart's massive audience," said ChannelAdvisor CEO David Spitz. "We're excited to help Walmart increase its product selection by onboarding more third-party sellers, and to help our customers build their brand recognition on the website of the top retailer in the US." ChannelAdvisor's integration with Walmart's global marketplace was announced at the Catalyst Americas 2016 conference. Using the integration, ChannelAdvisor customers will be able to list their products on Walmart.com, gaining access to the customers of one of the largest online retailers in the US. Walmart Marketplace was launched in 2009 and is open to select retailers. Products from third-party retailers are displayed alongside Walmart's own inventory and are labelled as Walmart Marketplace items. The seller name is displayed on third-party items, and sellers gain access to special promotion opportunities like "Value of the Day" offers. Marketplace management solution ChannelAdvisor Marketplaces has released a new feature to help identify inventory listed against the wrong Amazon ASIN. ChannelAdvisor's "ASIN Mismatch Detection" compares the seller's price to their competitors' prices on the same listing and returns a warning if the seller's price is abnormally low. ASIN mismatches can include listing a single item against an ASIN for a multi-pack, leading to cancellations, returns and losses. Another change in the latest ChannelAdvisor release is removal of fixed marketplace inventory allocations, as ChannelAdvisor's automatic quantity adjustments has been improved to make it unnecessary. Ecommerce software vendor ChannelAdvisor has announced its 2015 full year financial results, with its overall performance significantly improved compared to the previous year. The total revenue for the year was $100.6 million, a 18 percent increase compared with total revenue of $84.9 million in 2014. On GAAP the company made a net loss of $21 million compared to a loss of $34.5 million in 2014. On EBITDA a profit of $1.4 million was made in 2015 compared to a loss of $19.5 million in 2014. 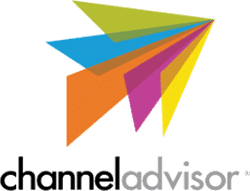 ChannelAdvisor processed $6.8 billion in total gross merchandise value in 2015, an increase of 19 percent from 2014. Total customer count was 2,898 at the end of the year, an increase of 2 percent from 2,841 customers at the end of 2014. ChannelAdvisor CEO David Spitz said, "We had a very strong finish to the year, as our fourth quarter revenue and adjusted EBITDA were above the high end of our guidance ranges. Improvements in pricing, our focus on attracting and retaining larger retailers and branded manufacturers, and our emphasis on customer success helped produce a significant increase in gross merchandise value through our platform in the quarter, as well as continued growth in average revenue per customer. Revenue overperformance came largely from a meaningful increase in variable subscription revenue and enabled us to exceed the $100 million mark in annual revenue for the first time in our company's history." The latest release of multichannel management software ChannelAdvisor Marketplaces has a new report which compares a merchant's marketplace sales to their competitors. The new "Marketplace Mix Trend" dashboard shows a monthly marketplace sales break-down compared to the sales of competing sellers. Amazon Sponsored Products export functionality. New Amazon repricer option to allow one repricing rule to apply to items of various conditions. Improved eBay listing error handling including additional information about the most common policy violations. ChannelAdvisor also announced four new marketplace integrations are now under development: Bluefly, Choxi, Iguama and Tanga. Inventory and channel management tool ChannelAdvisor Marketplaces has added support for Amazon's new Sponsored Products advertising program. ChannelAdvisor now supports Amazon's Advertising API. The API in turn supports the Amazon Sponsored Products program, which allows Amazon sellers to promote products they sell on Amazon.com with keyword-targeted ads. With this support, ChannelAdvisor now provides a comprehensive Sponsored Products feature that allows customers to build and manage campaigns that deliver relevant ads to targeted consumer searches. Clicks on Amazon Sponsored Products take shoppers to the Amazon product detail page on which the seller's offer is listed. "Advertising on Amazon is a great way for retailers to boost their product visibility and get in front of Amazon's large customer base," said ChannelAdvisor CEO David Spitz. "Retailers can use Sponsored Products to direct shoppers to their Amazon product listings. Our support for Amazon's Advertising API helps retailers stand out from the competition by targeting consumers based on relevant keyword searches while they're making purchasing decisions." When asked what digital marketing channel provides the most return on investment for their companies, 35 percent of the ChannelAdvisor 2015 Online Retail Survey respondents listed Amazon as the top channel. Marketplace management tool ChannelAdvisor has a new version with enhanced capabilities in several areas. New analytics features include a benchmarking dashboard called ECOMpass which shows retailers how their performance compares with other retailers and brands. ECOMpass Benchmarking tracks data and examines the listing details from thousands of retailers to produce a view of the ecommerce industry in a retailer's own product category. ChannelAdvisor's Fulfillment by Amazon (FBA) analytics provide retailers with a complete picture of the costs of selling using FBA. Retailers can calculate their total product costs more easily, and identify fast-selling SKUs to estimate how long the existing quantity of those products will last and avoid overselling. "Access ChannelAdvisor" is a new sales channel network, allowing a wide variety of marketplaces and other channels to integrate with the ChannelAdvisor platform. It gives customers access to new sales channels more quickly than before, including Wish, Bluefly, Choxi, Flubit, Game, Iguama, Mirakl, ricardo.ch and Tanga. ChannelAdvisor is helping retailers expand to France through its integration with Cdiscount, and has expanded its support of Zalando beyond Germany to include Zalando in the United Kingdom, France, Italy and the Netherlands. The fashion marketplace is the largest online-only clothing and shoe retailer in Germany, approaching a 10 percent share of the online fashion market. Finally, ChannelAdvisor has enhanced the paid advertising features available in ChannelAdvisor Digital Marketing. ChannelAdvisor can manage campaigns using Amazon Sponsored Products ads and also Amazon's latest self-service advertising offering, Amazon Text Ads (Beta) – pay-per-click text ads which link directly to the advertiser's website. ChannelAdvisor can also manage Facebook dynamic product ads. "Marketplaces and digital marketing channels used to require different approaches, but they will overlap in the next era of e-commerce," said Link Walls, ChannelAdvisor vice president of product management. "There's a greater need for retailers to understand metrics across all channels so they can blend their online strategies appropriately. Retailers can use the resources included in this release to prepare for what's ahead." The latest version of ChannelAdvisor Marketplaces includes new reporting widgets, and improvements to the Amazon repricing tool. The new release includes Amazon selling and FBA fee calculation in Amazon repricer rules, and new reports showing top selling products across accounts and marketplace performance trends. Other updates are support for the AliExpress Related Products module, and Jet Refunds support. The "Marketplace Performance Trends" dashboard widget compares Gross Merchandise Value (GMV), Average Order Value (AOV) and Number of Orders for two date ranges for specific accounts and marketplaces. The "Top Selling Products Across Accounts" dashboard widget has been updated to show Order Count and Quantity Sold as well as increasing the number of products from 10 to 20. Multiple distribution centers are now also supported in AliExpress, allowing sellers to set different price and quantity information for different Ships From locales within a single SKU. Marketplace management tool ChannelAdvisor Marketplaces has added support for Newegg in Canada. ChannelAdvisor has integrated with Newegg's Global Seller Program, enabling retailers and manufacturers around the world to sell into Canada through Newegg's third-party marketplace. "We're always seeking ways to connect our customers to more consumers globally. The Canadian market is embracing e-commerce quickly. Online retail is expected to reach $39.9 billion in Canada by 2019, according to Forrester Research, Inc.," said David Spitz, ChannelAdvisor CEO. "Through our support of Newegg's Global Seller Program, retailers and branded manufacturers can enter Canada with relative ease and reach its growing online shopping population." The Newegg Global Seller Program offers a comprehensive ecommerce platform and marketing system for retailers and branded manufacturers to sell into Canada. Newegg Canada offers more than 20 product categories such as consumer electronics, computer hardware, home appliances, jewelry and watches. Ecommerce management solutions from ChannelAdvisor and CommerceHub have each announced their support for the new "Purchases on Google" program. Purchases on Google is a mobile-only feature of Product Listing Ads that enables users to buy products on Google from participating merchants. The new feature is designed to make mobile transactions easier and improve conversion rates. "The distinction between advertising channels and transactional channels is blurring," said ChannelAdvisor CEO David Spitz. "Purchases on Google is a reflection of the evolving future of e-commerce and the important role of mobile. The goal for online retailers is to be in front of as many shoppers as possible and these transactional product ads should help them do just that." Purchases through the new program will remain cost-per-click, as it is a feature of the existing Product Listing Ads. When a shopper clicks on an ad with the feature they are taken to a retailer-branded checkout page hosted by Google. Google recently confirmed that more than 50% of Google searches occur on mobile devices — yet in the US and globally, desktop and tablet shoppers convert at three times the rate of smartphone shoppers. The latest release of marketplace management tool ChannelAdvisor Marketplaces includes support for eBay's new mandatory product identifiers. ChannelAdvisor will automatically provide an appropriate identifier if one is required for the category but not already available for the product. eBay now requires product identifiers such as UPCs, EANs, ISBNs, or MPNs in a number of categories on sites in the US, UK, Germany, Australia, and Canada. Items that do not include a product identifier will be blocked from listing and revisions. ChannelAdvisor has also added "In-Catalog Matching" for Newegg, so items can be listed in bulk using matching Newegg item numbers, manufacturer part numbers, or UPC numbers in Newegg's product database. Multichannel ecommerce management tool ChannelAdvisor Marketplaces has added support for the new Amazon Mexico marketplace. "The e-commerce market in Mexico grew 32 percent in 2014, and its double-digit growth is expected to continue to a 30 percent increase in 2015," said Scot Wingo, ChannelAdvisor executive chairman. "Through the development of its fulfillment network, Amazon has simplified the logistics of selling internationally. Amazon's extensive catalog and expertise in e-commerce will likely resonate well in Mexico, and we see this as a great opportunity for retailers and branded manufacturers to enter this market." Retailers can ship Amazon Mexico orders from their own distribution center or use Fulfillment by Amazon (FBA) from an Amazon Fulfillment Center located in the country. Amazon Mexico launched its physical goods store and marketplace on June 30th, with products in categories including consumer electronics, home and garden, sports, health and personal care, and home improvement. In ChannelAdvisor's 2015 Online Retail Survey, U.S. respondents listed Latin America as the second most popular destination for international orders, behind only the U.K.